Who are the 1MDB men who are on the run: One already in the net! There is no need to introduce the number one fugitive in the 1MDB scandal. Malaysia has issued an arrest warrant for Mr Low. Singapore also said on Friday it has issued an arrest warrant for Mr Low in 2016. Singapore has also issued a warrant of arrest for Mr Low’s associate, Tan Kim Loong, and requested an Interpol notice. It is the first time Singapore has acknowledged it was seeking Low’s arrest. Said to be hiding in China together with Nik Faisal, Mr Low made contact with the MACC promising that he will cooperate in the investigation. However, knowing his ability to hide, there are no guarantees that he will turn up in Malaysia to risk a definite arrest. He is the main figure around the 1MDB scandal, a man who apparently became very rich thanks to the money spilt from the Malaysian sovereign fund. He is highest on the list of fugitives. Mr Nik Faisal is one of three key people that Jho Low planted in both 1MDB and its subsidiary SRC International Bhd. The Malaysian Anti-Corruption Commission (MACC) has launched a warrant of arrest for the elusive fugitive. 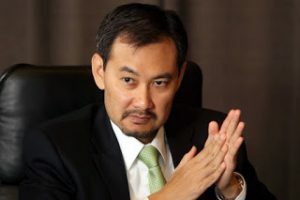 He rose to fame in his role as the person who operated the bank accounts of ex-PM Najib Razak at AmIslamic Bank to which US$700 million of 1MDB money was allegedly transferred to. 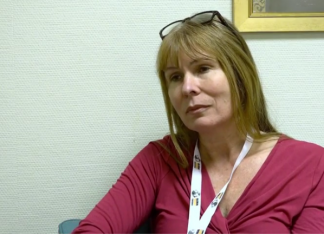 The allegation of the transfer was made by Sarawak Report first, then picked up by the Wall Street Journal and later on by the American Department of Justice (DoJ). His current whereabouts are unknown but he was put on the wanted list by the Malaysian Anti-Corruption Commission (MACC) in 2015. He has not given any sign whether he is willing to cooperate with the Malaysian authorities. Chances are that he might also face an Interpol alert soon. A warrant was also issued for the 1MDB’s ex-chief, Shahrol Halmi. Halmi has since then returned to Malaysia and surrendered himself over to the MACC. The Datuk is identified as 1MDB Officer 2 by the DoJ. He was CEO of 1MDB from 2009 to 2013, during which time all the major deals were executed. The PAC report recommended that he should be investigated for decisions he made, a number of which were without board consent and knowledge. A former executive of Accenture, he was attached to the Prime Minister’s Department after leaving 1MDB. Shahrol, whose full name is Shahrol Azral Ibrahim Halmi claimed that Najib had refused the revaluation of assets in 1MDB’s joint-venture with PetroSaudi International (PSI) despite concerns raised by the 1MDB board of directors. He made those statements to the Public Accounts Committee (PAC) and it appeared in their report which referred to Najib in his position as 1MDB board of advisers’ chairperson. According to the report, the 1MDB board of directors had doubts about the joint-venture in which 1MDB was to commit US$1 billion in cash while PSI would only need to commit at least US$1.5 billion in energy assets to their joint-venture vehicle 1MDB PetroSaudi Ltd.
A former Goldman Sachs Group Inc banker, Roger Ng, is also on a ‘to be arrested’ link prepared by the MACC said Bloomberg. According to Reuters, Malaysia is considering asking the DoJ to get Goldman Sachs to return nearly $600 million in fees it earned from bonds raised for 1MDB.